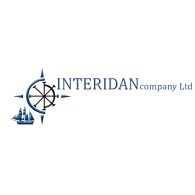 INTERIDAN Company Ltd has been organized by the experts possessing great experience in the field of employment of staff of marine and onshore specialists and this allows us to be competitive in the services sector of the labor market. The company acts as an agent hiring staff for shipping companies as well as companies working with various projects on the coast. The right to employment of Ukrainian citizens is provided by the License issued by the Ministry of Labour and Social Policy of Ukraine. • selection and hiring of personnel for onshore projects.